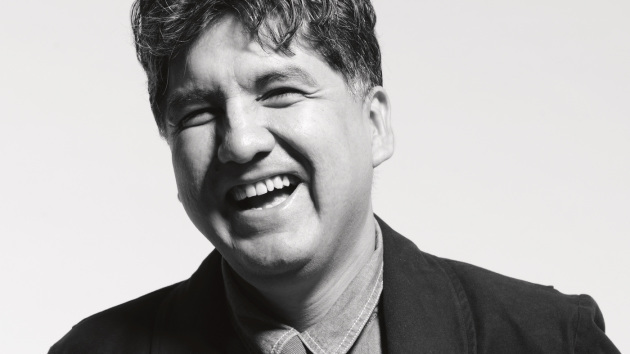 In mid-July, in the midst of a very busy book tour, Sherman Alexie decided to go home. He was criss-crossing the country talking about his new memoir, "You Don't Have to Say You Love Me," about the life and death of his beloved, difficult, impossible mother, and he just couldn't do it anymore. He wrote what he called an "open letter" to his readers, explaining his decision. "I have been sobbing many times a day during this book tour. I have sobbed in private and I have sobbed onstage," he wrote, in part. "I have been rebreaking my heart night after night. I have, to use recovery vocabulary, been retraumatizing myself. "Last week, I fell ill with a terrible headcold and had to cancel events in Tulsa and Missoula. But I also fell ill with depression. I medicated my headcold. I quickly healed from that simple malady. But I couldn't medicate my sadness—my complicated grief." In his note, he said he was canceling all appearances for August and most appearances through the end of the year. But this week he re-confirmed his Talking Volumes appearance on Sept. 14 at the Fitzgerald Theater in St. Paul, his publicist said. Tickets to Alexie have been the fastest-selling of this year's five Talking Volumes events. The event is virtually sold out, though a few tickets may become available closer to the date (you can check here). Wishing all the best to a fine and sensitive writer.